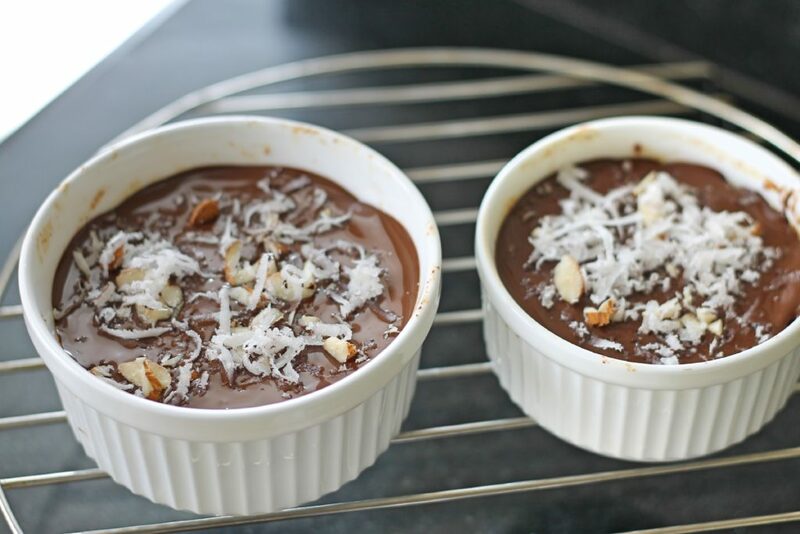 Chocolate Kalakand is a very easy to make sweet recipe which is a good option if you don’t like too much sweet in your sweets, like me! So let us get started. In a bowl add the grated paneer, condensed milk, elaichi powder, dry coconut and cornflour, mix well. 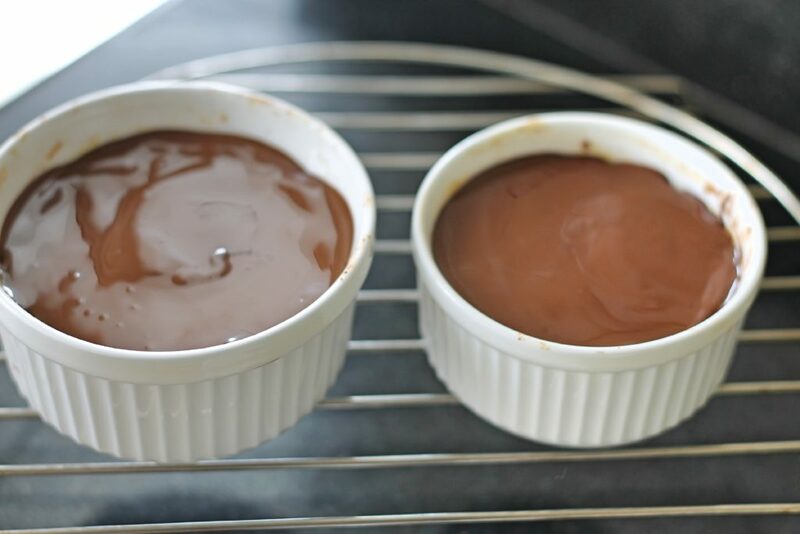 Take two greased ramekins and add mixture to them, while pressing down gently. Now preheat the oven at 200-degree Celcius. 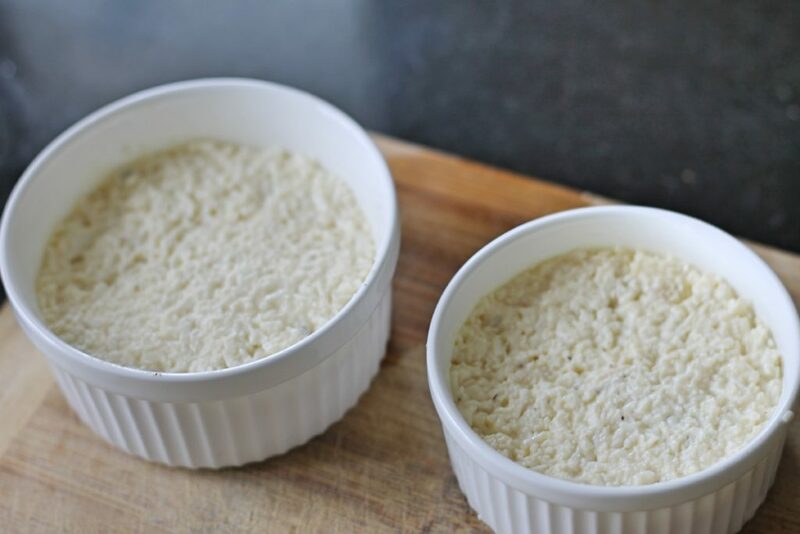 After the preheat is done, keep the ramekins in the oven and bake for 16 mins. Meanwhile, melt the dark chocolate in a double boiler. 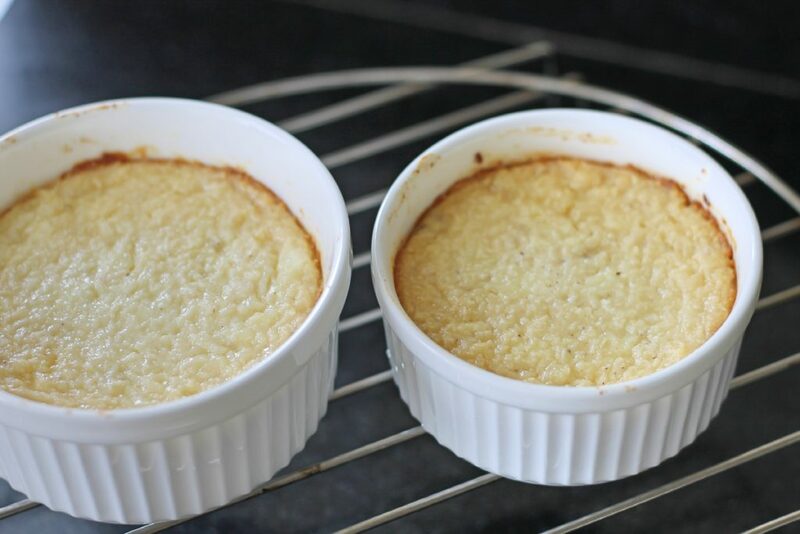 After the kalakand is baked, take it out and allow to cool completely. 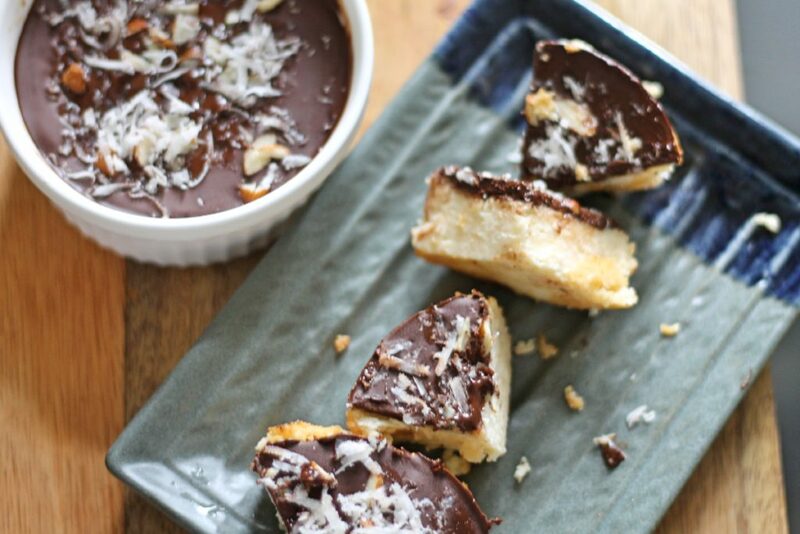 Now pour over the dark chocolate in both the ramekins and garnish with chopped almonds and grated coconut. You can add more dry fruits of your choice. Cover with cling film and keep in the freezer for 1/2 hour or until set. You can also keep in the refrigerator but it will take longer time. 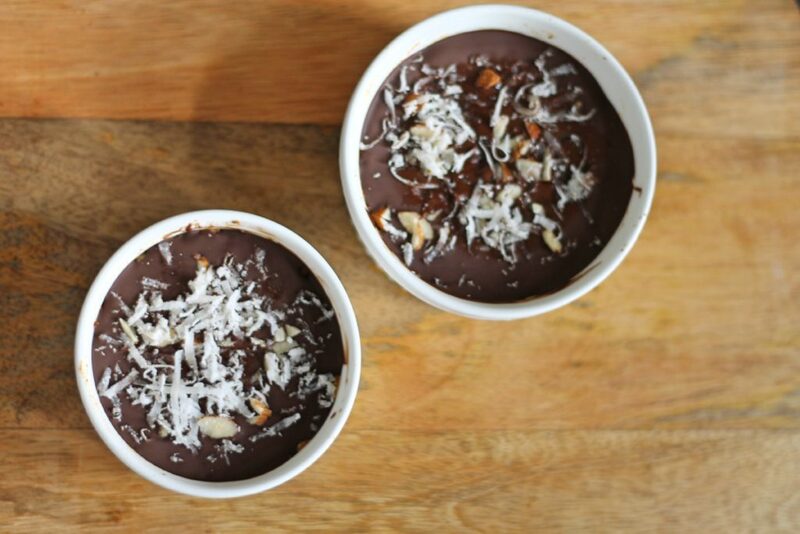 Cut and serve your chocolate kalakand! 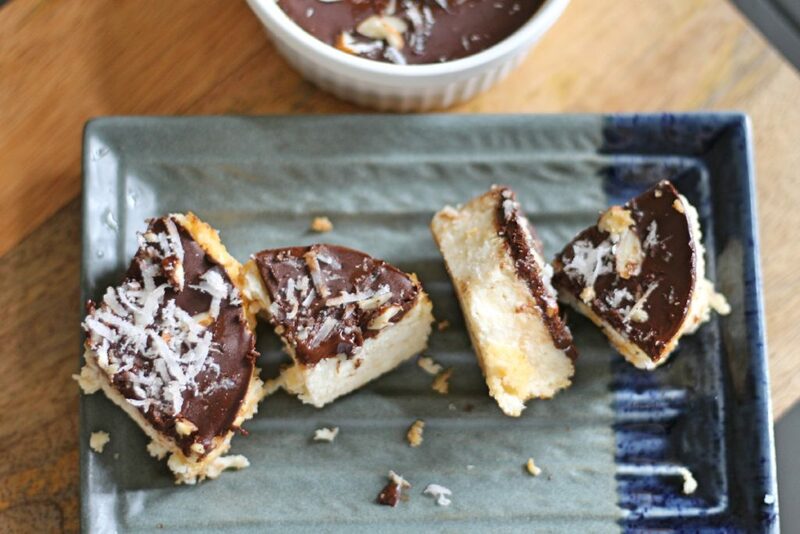 Know that: You can also use milk chocolate or white chocolate as a topping if you want the taste to be sweeter! Do try it and let me know how you find it in the comment section below!